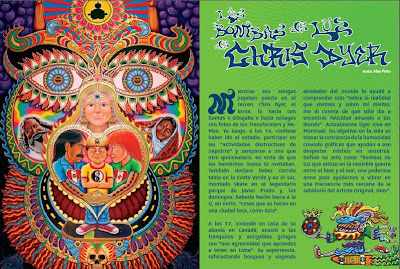 K4 is a magazine from Peru that cover many cultures of that country including surfing, skateboarding, music, art, etc. I just got a 7 page article in their most recent edition. You can see it here: http://www.k4mag.com/K4_06_(08-2009).pdf and turn to page 29. Hope you've been practicing your spanish!